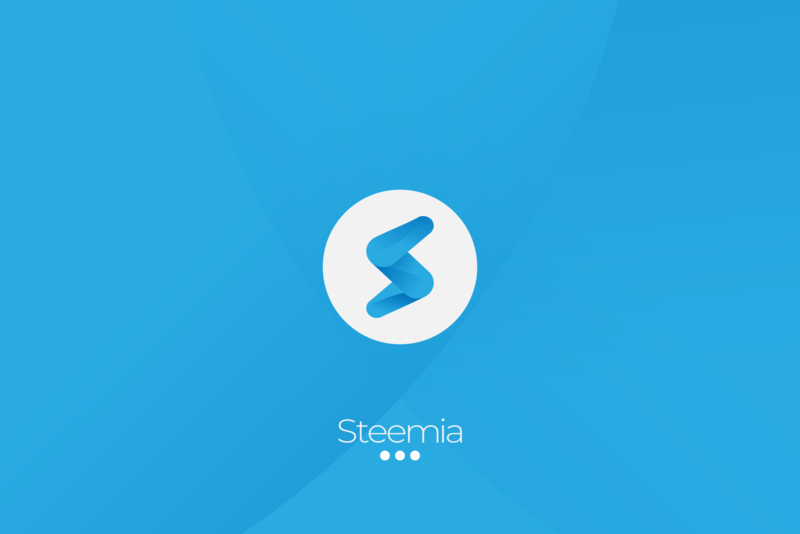 Steemia is a social networking app built on the decentralized Steem Blockchain that reward users in Steem and Steem Dollars Cryptocurrencies. 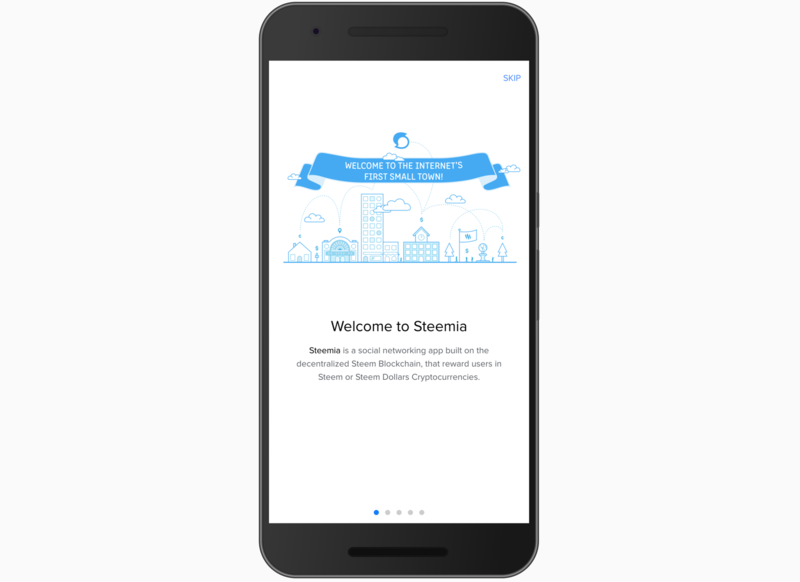 The goal of this app is to give the Steemit community (steemit.com) a mobile app where they can carry out their daily activity on the Steem Blockchain (access steemit.com smartly using an app) while earning rewards (getting paid) in the process. This app will provide users robust experiences in addition to features typically found on other social media platform including a peer to peer chat and push notifications; it also gives users the ability to watch various cryptocurrencies including Bitcoin, Litecoin, and Ethereum. Publish your articles and earn rewards by engaging with your blog viewers as well as gain followers. Fully control in how much rewards you allocate when you upvote an article so you do not always vote at 100% power. 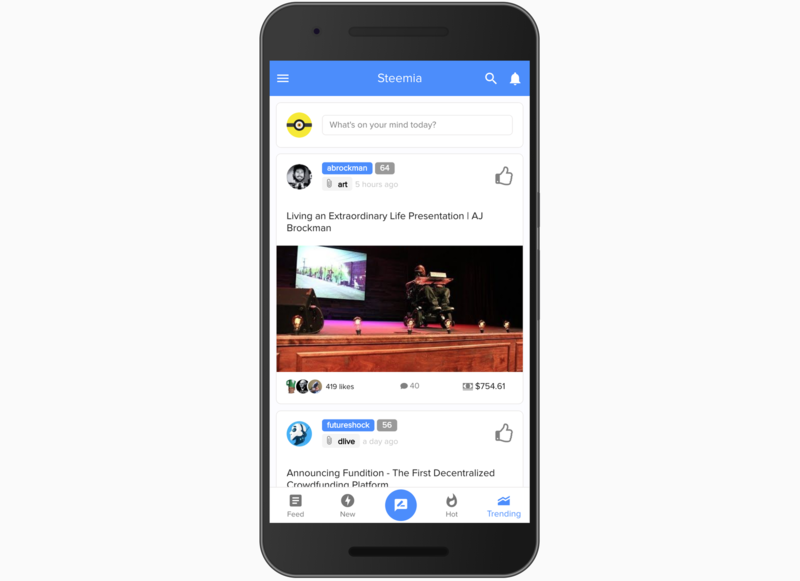 Get notifications from the app on transfers, follows, and discussions (comments) you are involved in. Bookmarks to save your favorite articles for later use. Track of your external BTC, LTC, and ETH wallet. 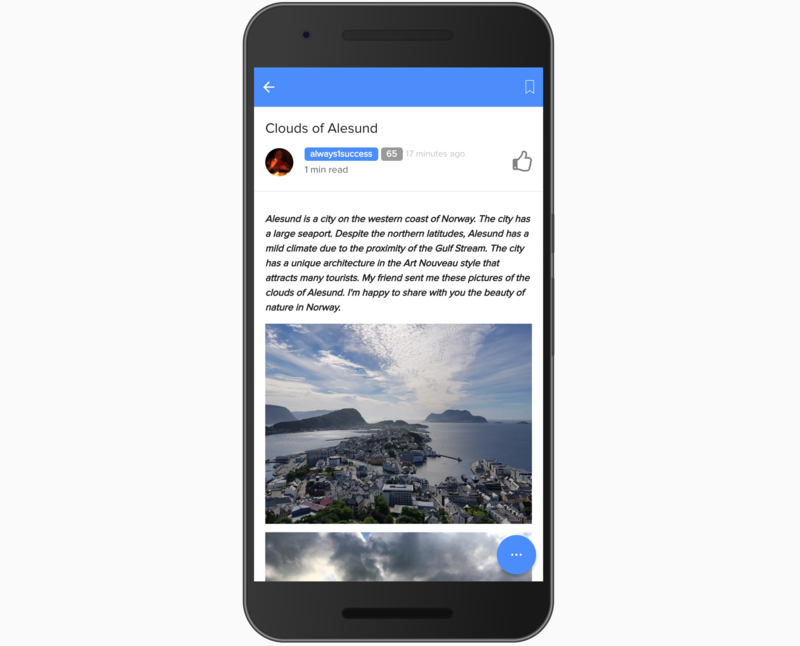 Image upload from gallery and directly from the camera of your device. Is my password/private key secured with this app? This app relies on SteemConnect which means that your information will be always secured and will not be shared with us or any other party other than SteemConnect itself. In addition, we add an extra security layer. This application encrypts the token received from SteemConnect which is for certain broadcast actions in the blockchain. In short, there is no way to get your account compromised by using this app since we do not store your private key nor your master password. In fact, the token received from SteemConnect is stored and encrypted on the end user device which means that the only device capable to decrypt it is yours. Does this app take any beneficiary reward? 10% to cover Steemia’s server and/or cloud storage for assets. 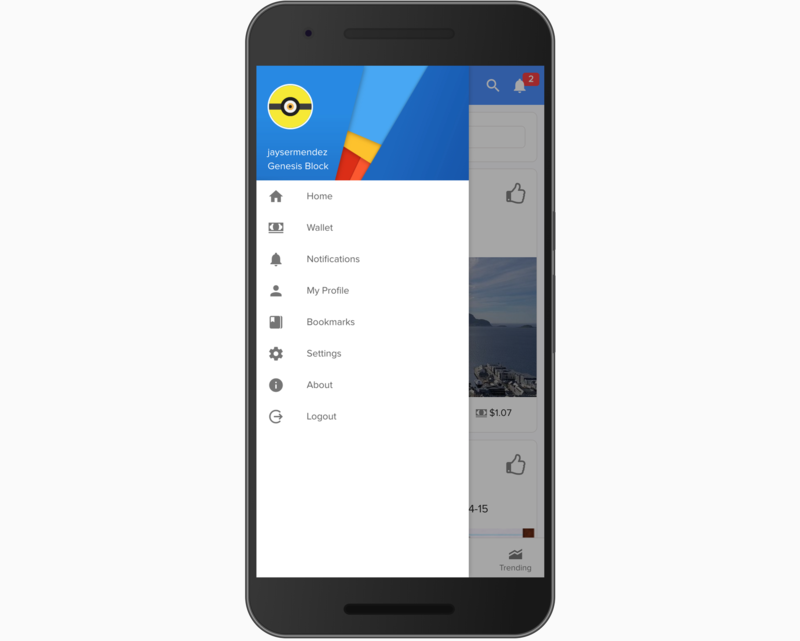 In order to maintain the application lighter, we need to take care of all the data in backend as well as all the images uploaded through the app. 5% to power up our bot voting account to support our users. We want to growth with you! We will support our users by giving upvotes with our voting bot. We believe that a blockchain project should be open source and transparent, thus we have developed Steemia with this idea. In this regard, our developers received the greatest support from @utopian-io. Utopian gave a great support to Steemia and more countless open source projects. You can access all the source code of Steemia app via Github. You can always contribute to Steemia via Github or Utopian. We attach great importance to the ideas of the community, therefore if you noticed an error/bug in Steemia or you have an idea for Steemia you will honor us by reporting it on Github or Utopian. We want to take this moment to give a thanks to @oups for this amazing logo and to @podanrj for our amazing splash screen and all their support in this project. In addition, we want to thanks all the contributors because they really did an amazing job showing us their contribution to this project. We do appreciate you all guys! In addition, we want to thanks the @busy.org team which did an amazing job with SteemConnect and the notifications system which works excellent in our app! You guys rock! We’ve shared all the details of our roadmap in Github. In 2018, we are working with all of our efforts to bring the best mobile app to the community. We will continue the development process by evaluating feedbacks from the community. Most of the images used on this project are property of @sndbox and they are under the CC BY-NC-ND license. Images were not modified and all of them are in its original state.